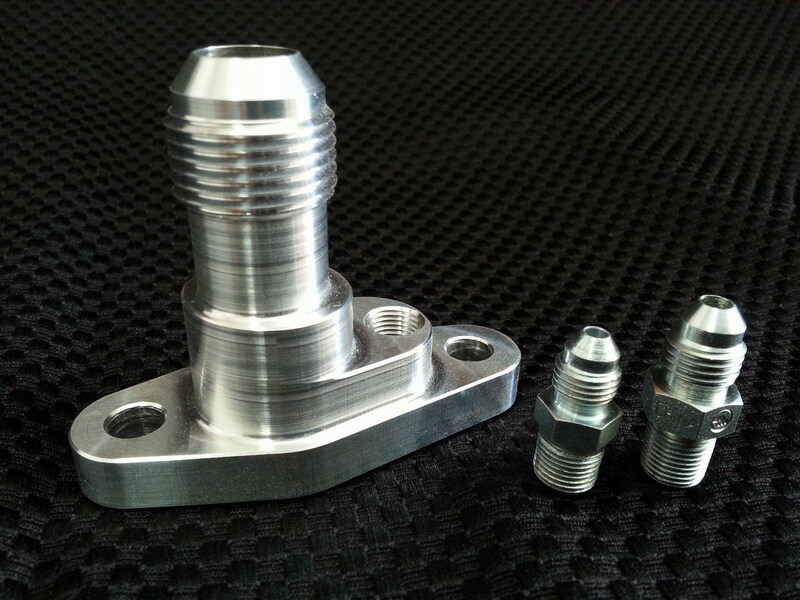 This is a CT-26 series turbo oil drain fitting. 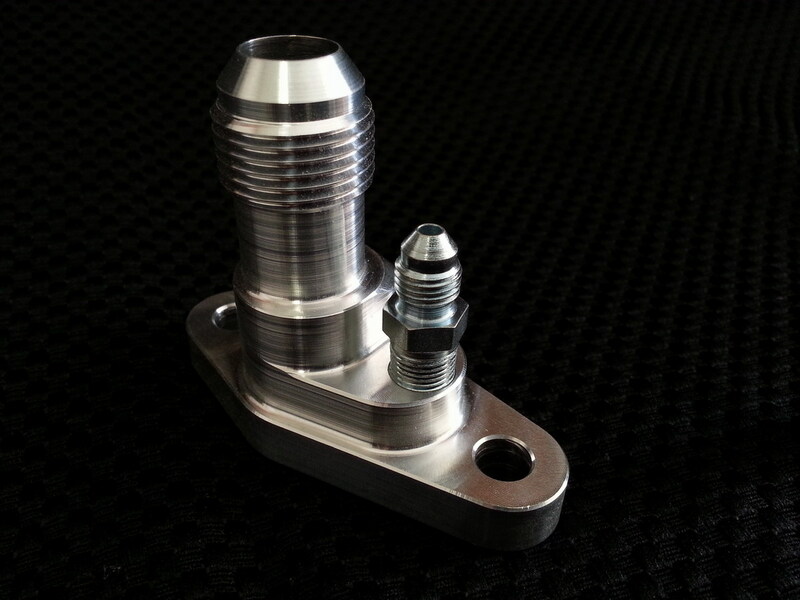 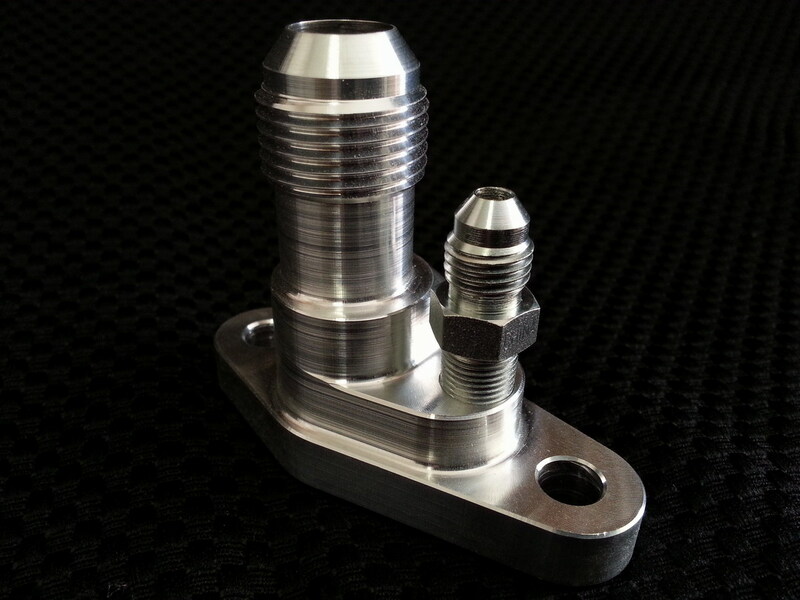 This fitting allows you to build custom oil lines to your new 57 trim or 60-1 trim Hybrid CT26 turbo setup. 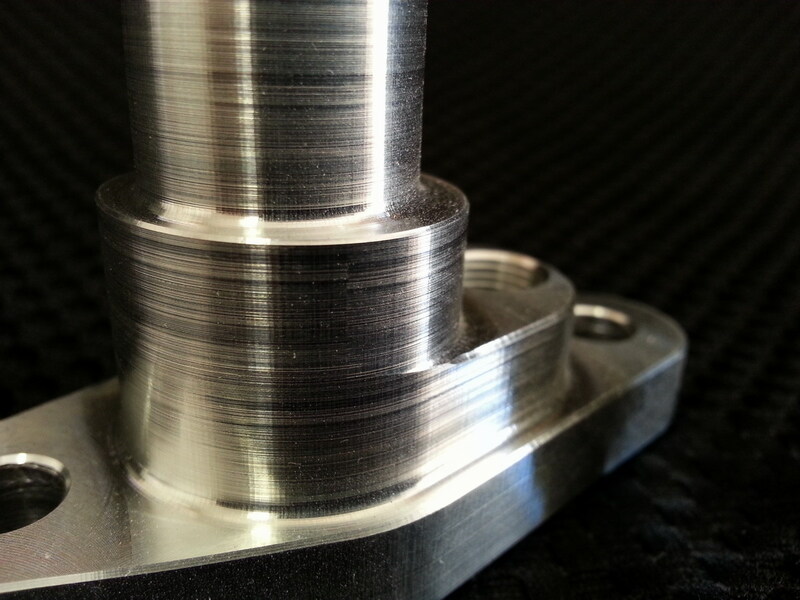 This is a mandatory part if you want to ditch the stock Toyota turbo oil lines. 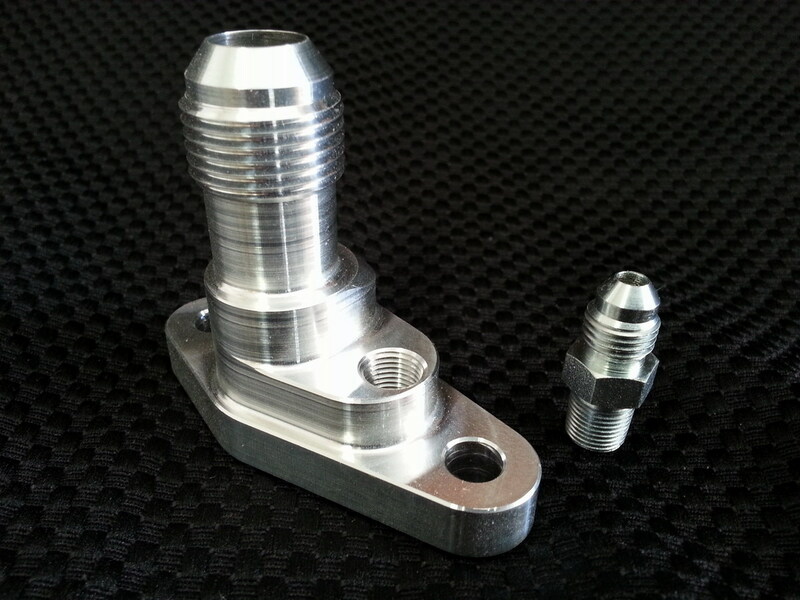 Make sure to specify -3 or -4 supply fitting in the options. 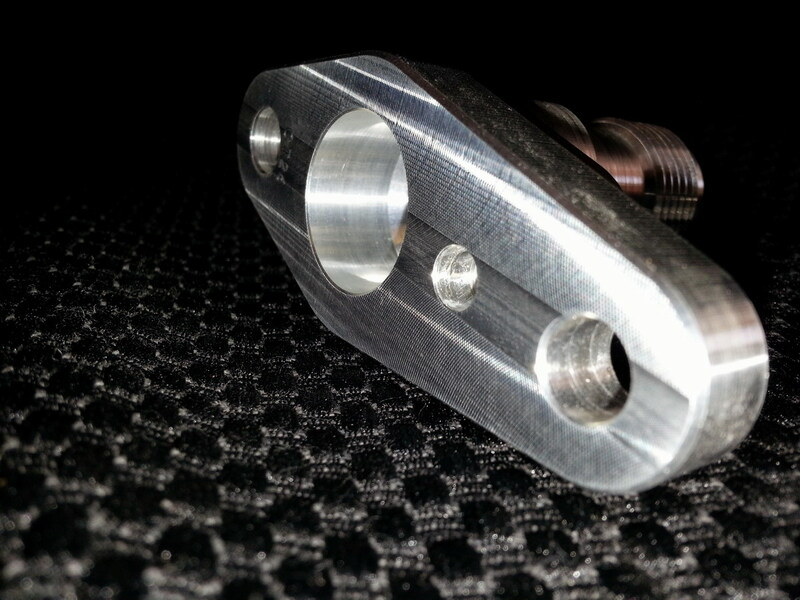 Works perfectly with the factory gasket. 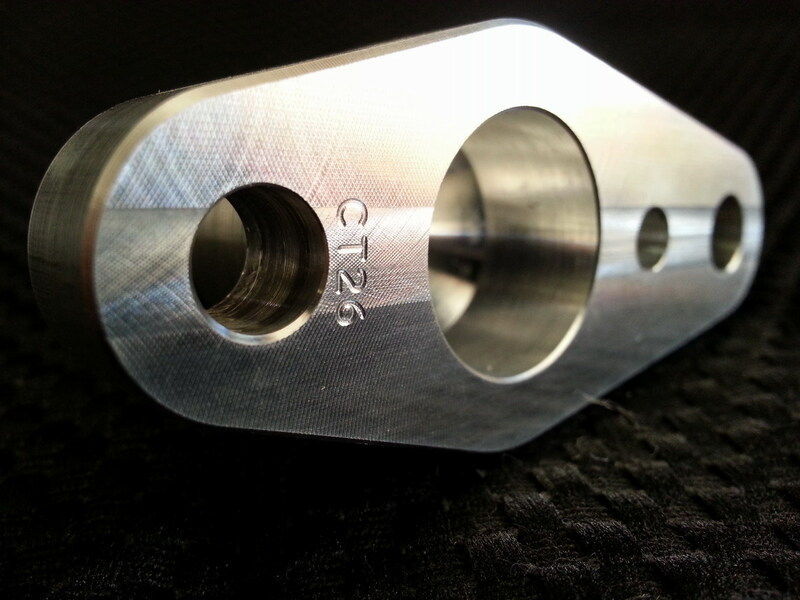 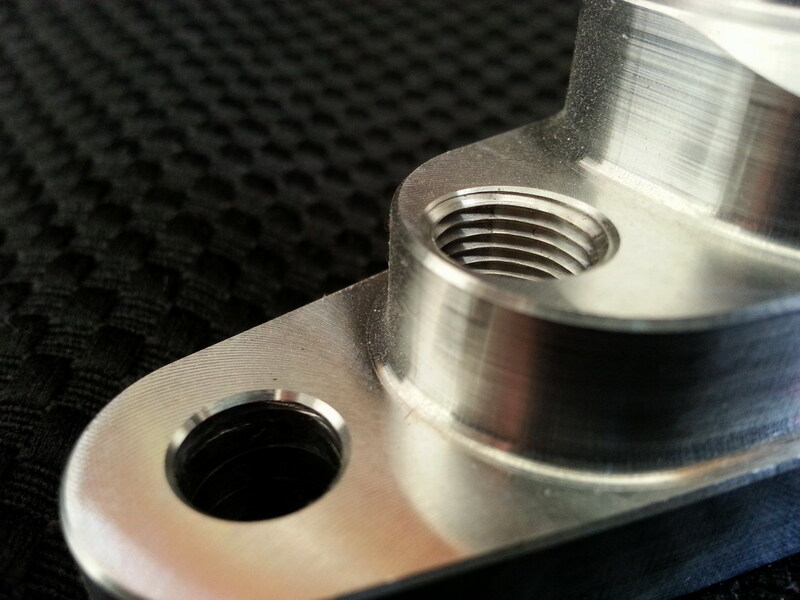 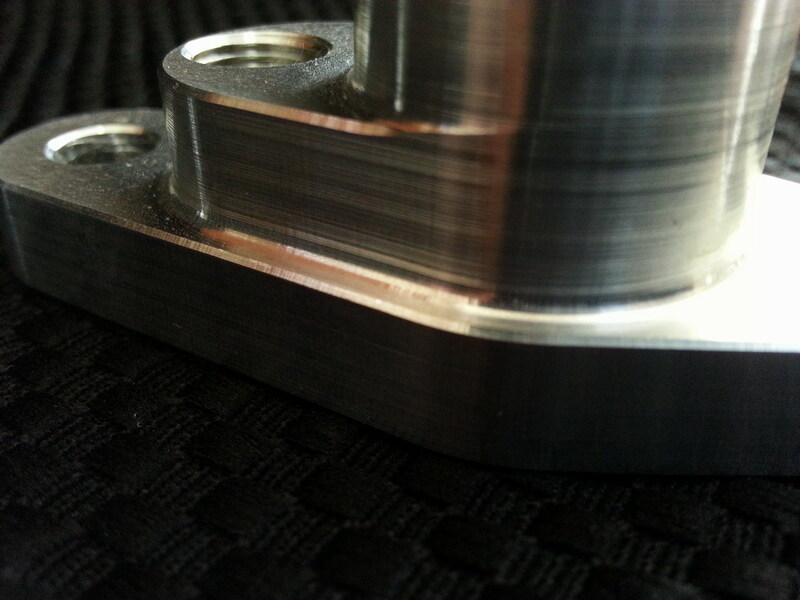 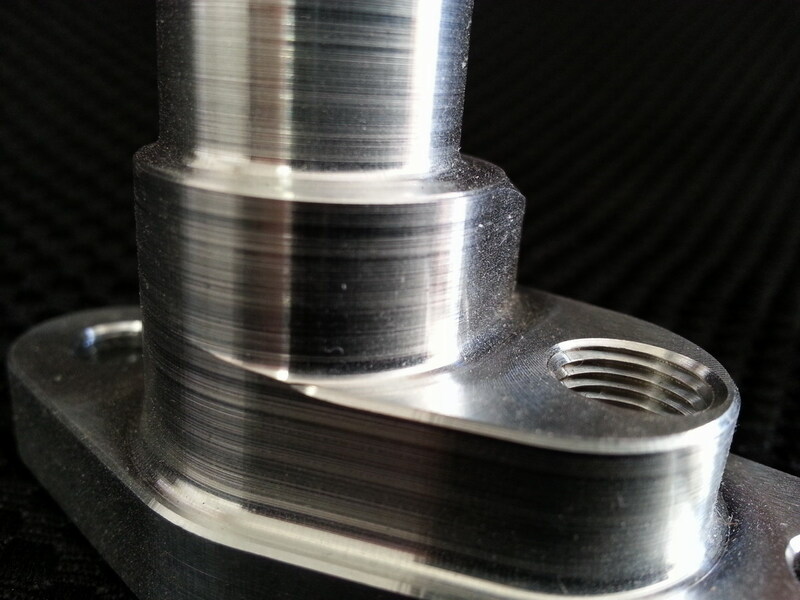 Every detail has been considered, the machining is very high quality.